Request for Online Payday loans in 3 Easy steps! Decide How Much To Borrow? Decide How Much Cash You Can Borrow to pay for Emergencies, Bills, etc.. 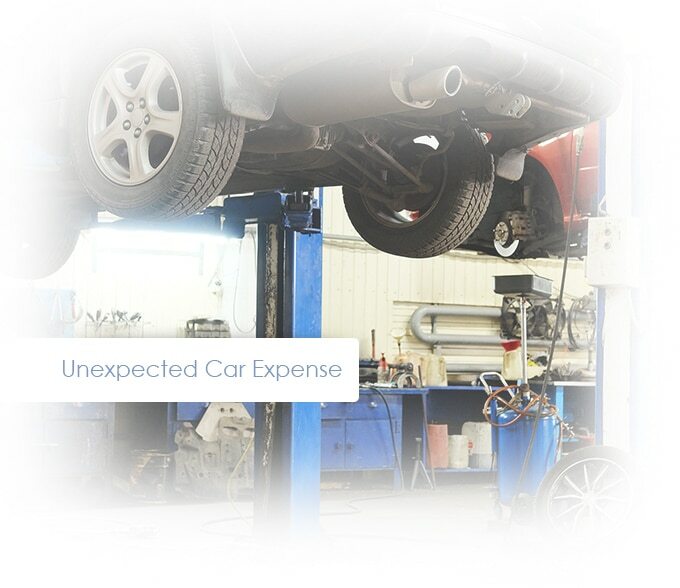 Easily sort and, Select The Best Installment Loans and offers that fit for you! If you are matched with one of our lenders. Get money deposited as soon as the next day! 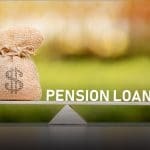 Which Loan type is best for me? 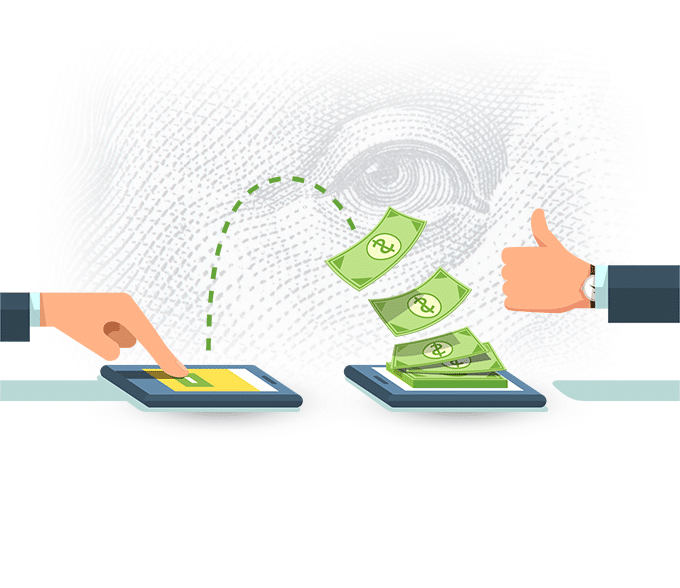 Turbo Payday Loans connects you with a direct lender when you have unexpected events occur. 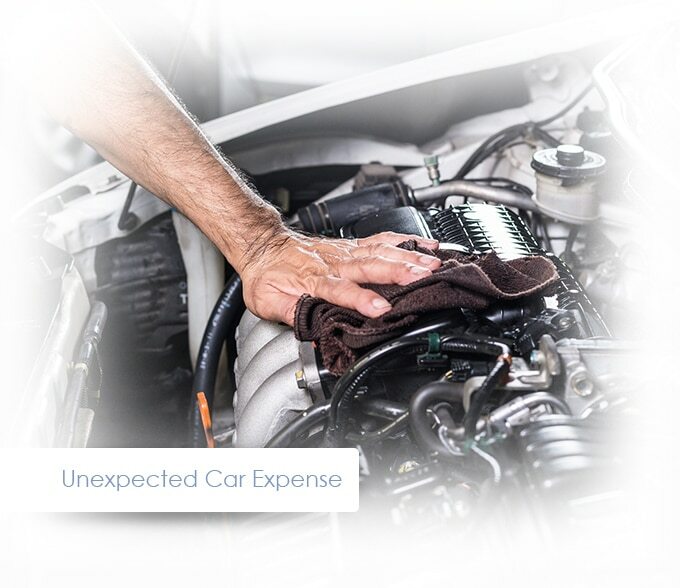 Whether if its to cover emergency expenses or just a little budgeting error, Our service will help get you connected with a payday or personal lender. Our service will make sure you are connected to a lender that is customized to fit you. When facing a financial crunch, please consider the advantages of taking out a payday loan. Sometimes, when you need immediate cash to pay off creditors and fund everyday expenses like food and shelter, lending sources such as banks and credit unions dry up, and you have nowhere to turn. We can help you try to find another option. A highly trusted payday lender may help you gain access to the cash you need. Super-fast service makes Internet payday loans available to customers as soon as the next business day. 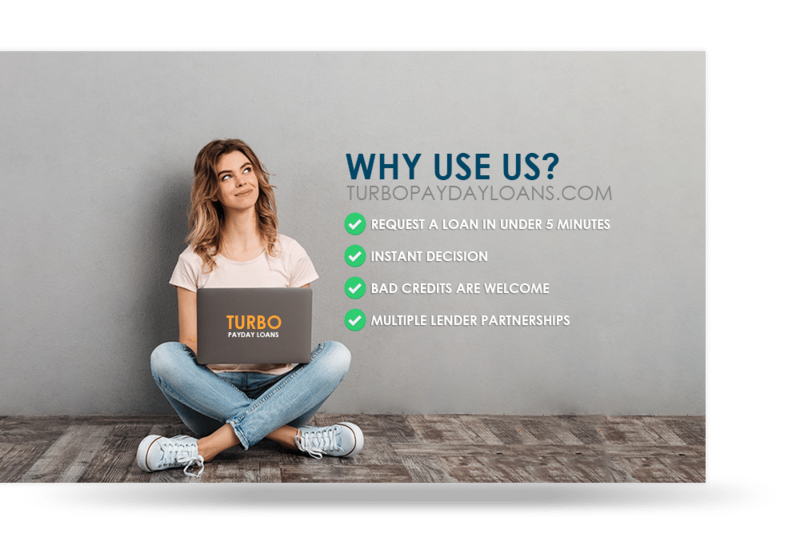 E.g., if you request a payday loan online through Turbo on Tuesday morning, you may have the funds waiting for you as early as when you wake up Wednesday morning. 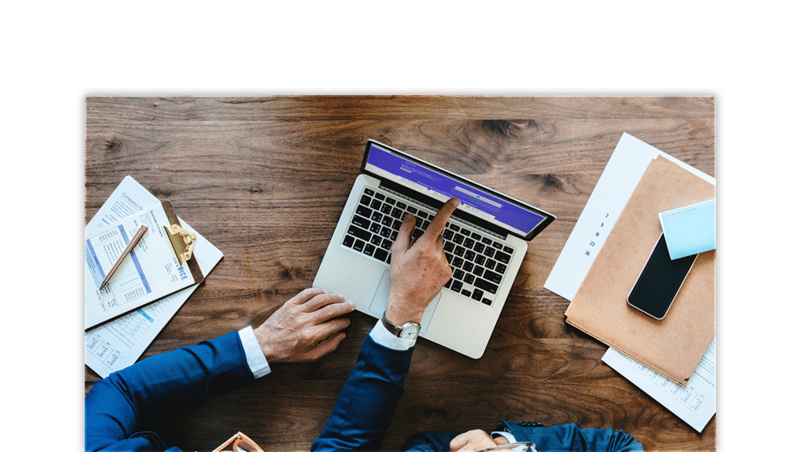 Instead of spending hours requesting money from multiple banks and other lenders, Turbo offers a simple online form that grants on-screen results to almost every consumer. Payday lenders work with those who have bad credit, which is something you will be hard-pressed to find when trying to obtain a loan from a bank or credit union. Turbo Payday Loan is not a lender. The lenders and lending partners we work require you to be at least 18 years old and demonstrate proof you are either a United States citizen or a permanent United States resident. They may also check to see if you have a bank account that you use on a consistent basis. Another common requirement is proof income, as the lender will want to gauge your ability to pay back a payday loan in a timely manner. We may connect you with one of our lenders or lending partners, and they may work with you to develop a loan package. Once you establish a line of credit, you can use it to meet your financial cash flow needs as they arise. Many use a line of credit service because of the lack of a loan maturity date. 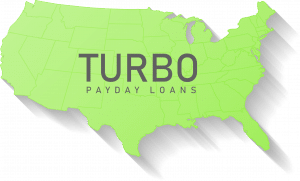 When you need emergency cash to cover a medical bill or just want more money to make it until payday, Turbo Payday Loans is one option to find quick access to cash. Our convenient online form makes us the go-to site for searching for fast funding. Payday advance loans should be hassle-free and not require a second mortgage. Kickstart your personal finances by using Turbo Payday Loans today. Do you need fast funding options? Request a Loan in under 5 minutes! Checkout our latest blogs for tips related about money!